Prepare yourself for some sizzling snacks, because Hunan-style cuisine is notoriously spicy! 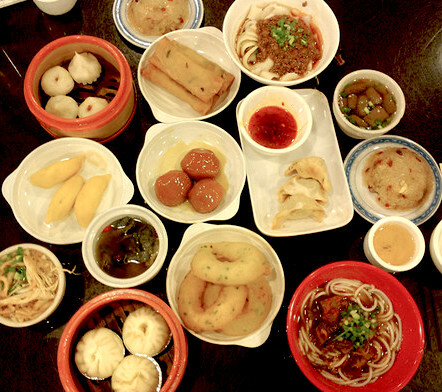 It’s celebrated as one of the Eight Great Culinary Traditions of Chinese Cooking and reached a high standard as early as the Han Dynasty (206 BC–220 AD), over 2,100 years ago. In that time, the province’s locals have managed to perfect the distinctly spicy and sour flavours that make their cuisine so unique. Since Hunan is an agriculturally rich province, its cuisine is able to employ a wide variety of fresh ingredients. To accommodate this sumptuous diversity, the menu changes with the season. The hot and humid summers are met with cool or cold dishes full of chillies, which are designed to open up the pores and release any excess moisture in the body. Chillies are also employed during wet, chilly winters in order to dispel dampness, but dishes tend to be served hot so as to warm the body up. However, farm-fresh ingredients aren’t the only thing on the menu! 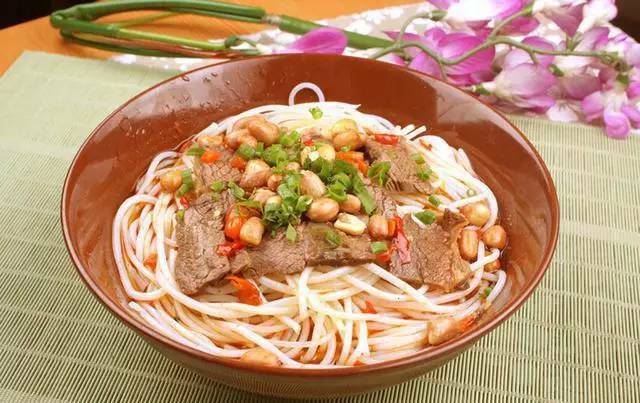 Since vinegar, like chillies, is associated with the warming and drying properties of “yang”, it is also a popular ingredient and pickled or fermented foods feature widely in Hunan cuisine. In particular, a type of chilli known as “duo lajiao” or “chopped chilli” is a staple feature of nearly all Hunan dishes, and is made by pickling red chilli peppers in vinegar and salt. It is this ingredient that largely imparts the spicy, sour flavours that have become emblematic of Hunan cuisine. 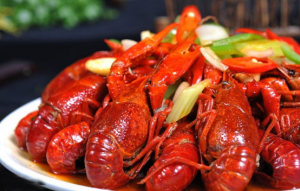 This deliciously simple dish is a staple of Hunan cuisine and is particularly popular in summer, when patrons sit outside and gorge on plates piled high with crayfish while sipping on ice cold beers. To make the dish, the chunky crayfish are first expertly cleaned, to rid them of any grit that may be trapped under their shells. Meanwhile, a tangy sauce is made by frying chopped ginger, spring onions, red chillies, orange peel, aniseed, and a number of other spices in hot oil. Once the crayfish is cleaned and the sauce has become aromatic, the crayfish is placed in the pan and quickly stir-fried. Shaoxing rice wine and oyster sauce are then added to give the sauce a richer flavour. Finally, a dash of salt, sugar, and soy sauce is added before the crayfish is covered in chicken broth and left to boil. Flour is typically added to help thicken the sauce as it boils. When the crayfish is thoroughly cooked, the pan is taken off the boil and the dish is ready to serve. The juicy flesh of the crayfish is perfectly complemented by the sauce, which is richly sour and has a pleasantly spicy kick. You’d be cray-zy not to try it! You might think that the name “stinky tofu” is a mistranslation, but you’d be sadly mistaken! This street snack has such a pungent odour that it’s said to smell worse than an open sewer. The smell derives from the fact that the tofu is fermented, sometimes for weeks or even months, in brine made from rotten vegetables, sour milk, mustard greens, bamboo shoots, and Chinese herbs. 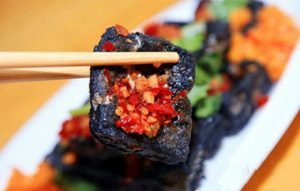 Although stinky tofu is served across the country, each region will have its own brine recipe and fermenting process, imparting a unique flavour and fragrance to its stinky tofu. The stinky tofu served in Hunan’s provincial capital of Changsha is noted as one of the finest kinds in the country, and is recognisable for its charcoal black colouring. Not only that, but it is notorious for being one of the smelliest varieties of the snack! Since the tofu is typically deep-fried, the dark outer layer is delightfully crisp, while the inside is silky soft. It is normally served by street vendors along with a heaping helping of chopped chillies to add the characteristic Hunan heat. The result is a potent mixture of salty and spicy flavours that anyone with strong tastes is sure to love. Much like Guilin Noodles in Guangxi, Changsha Noodles are made using “mifen” or “rice noodles”. This much-loved staple originated from the city of Guilin during the Qin Dynasty (221-206 BC), but didn’t reach the peak of its popularity until the Qing Dynasty (1644-1912). The process of making the noodles is extremely complex, and requires an expert hand. Rice is first rinsed and soaked in water, before being ground into a thick, semi-liquid paste. This unctuous goo is then steamed, pressed, and steamed again until it is thoroughly cooked. Once it has cooled and dried, it is cut into noodles that are satisfyingly thick and densely textured. In the city of Changsha, rice noodles are usually eaten for breakfast and are thinner than their counterparts in Guilin. They are served in a steaming, meaty broth that is sure to get your mouth watering, along with flavourful toppings like sliced beef, pickled white radishes, pickled green beans, peanuts, and chopped chillies. Vendors normally keep bowls full of these toppings on a table nearby, so patrons are free to pile high their dish with as many tasty treats as they fancy. Just don’t forget about the noodles underneath!